San Francisco, 1947. 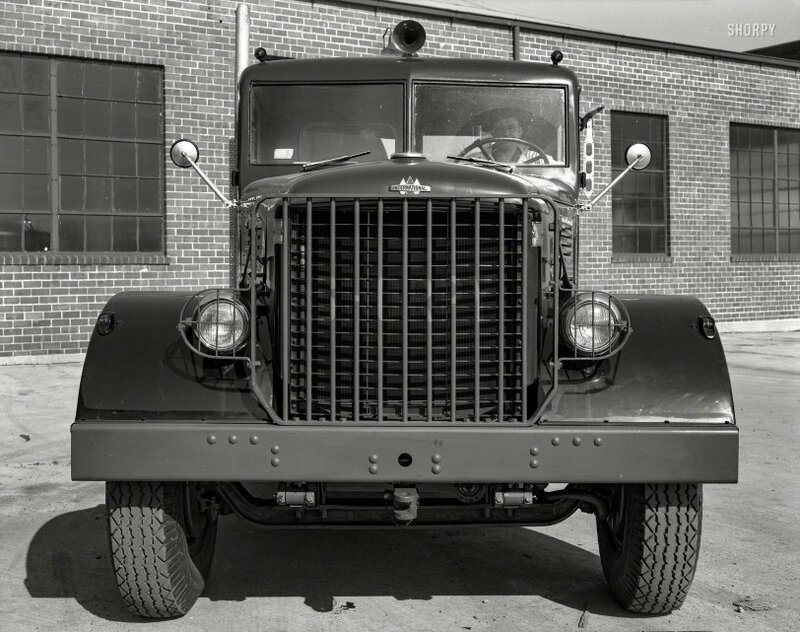 "International Harvester tractor, front view." Today's entry in the Shorpy Treasury of Triassic Trucks. 8x10 Ansco film negative. View full size. Submitted by zvbxrpl on Thu, 08/02/2018 - 1:44pm. Submitted by Phare Pleigh on Thu, 08/02/2018 - 1:09pm. Of course any self-respecting trucker would want bigger side view mirrors, additional marker lights, turn signals and would certainly enjoy playing with the turn signal semaphore. Submitted by Mark P on Thu, 08/02/2018 - 7:33am. 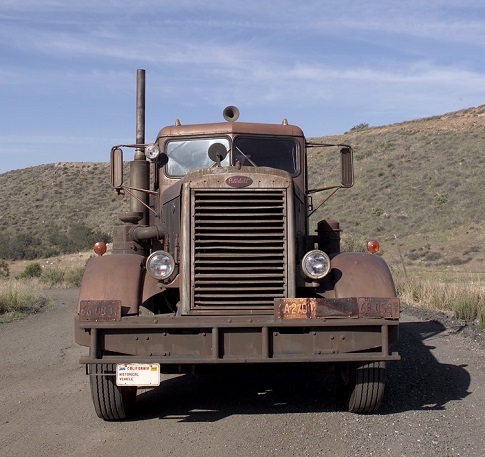 This is an IH and the truck from the movie is a Peterbilt but the horn in the middle of the roof instantly brought me to the movie. If you look quick the trucks are similar. Down below the bumper is the regular steering wheel activated horn.